You see some crazy and amazing pictures taken out of context everyday in the internet, but how often do you know the true story behind the original picture? This post is dedicated only for that purpose. 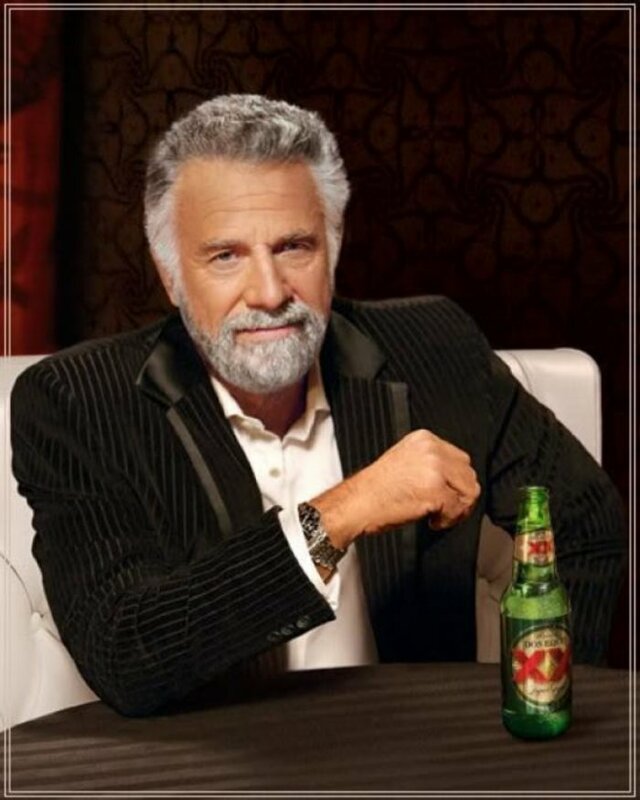 To let you know what really happened behind that popular picture. Yes you've most likely seen this priceless picture many moons ago, but what really happened here is a hilarious prank pulled by a Photographer Martin Usborne. 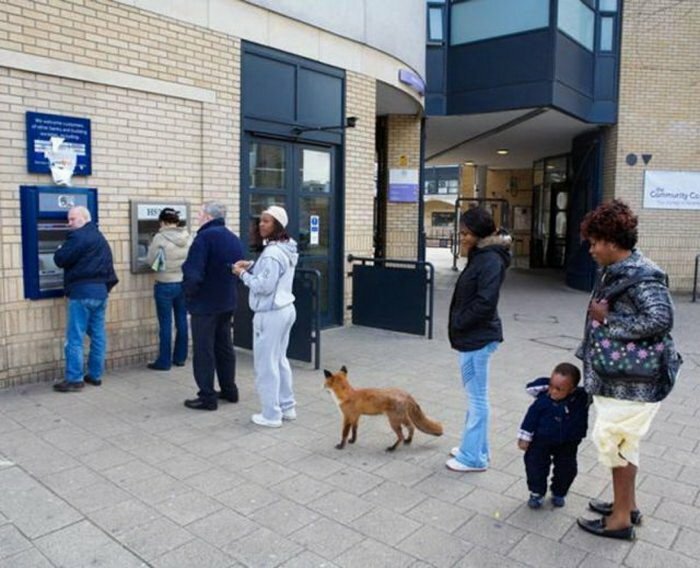 That fox in the line is actually stuffed a.k.a taxidermy. Martin reportedly rented the stuffed fox and then proceeded to walk around London with the fox under his arm. Hilarious. 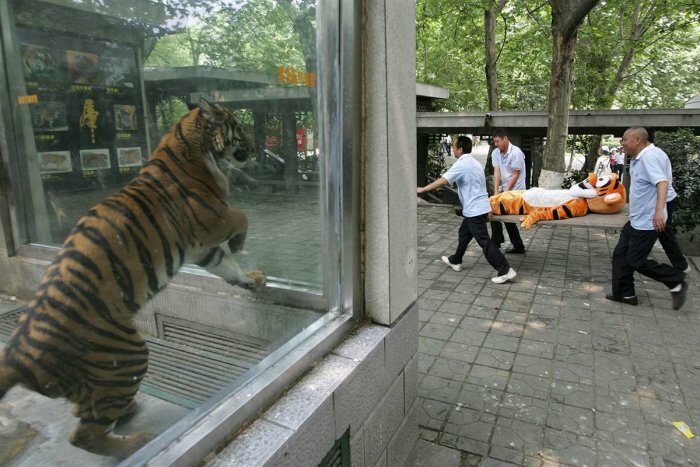 This photo is taken from an tiger escape drill in Chengdu Zoo, China. A guy in a Tigger suit was chased and put down by the dart gun wielding Zookeepers in this practice. 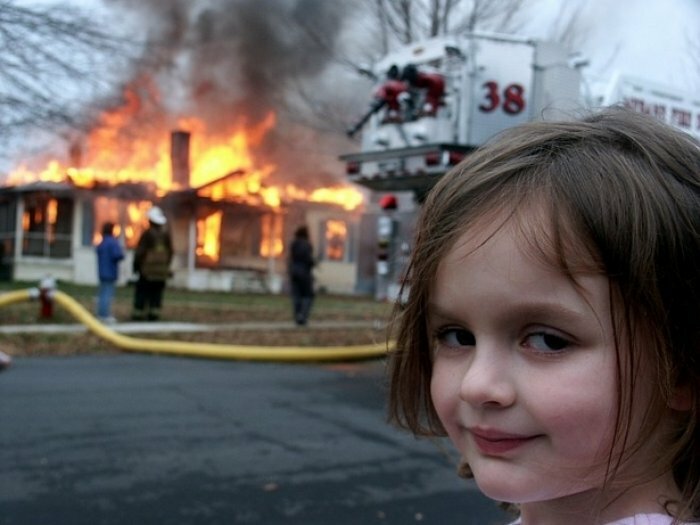 This infamous photo of a young girl next to a burning house smiling, portrays a picture of her being the culprit. Photographed by Dave Roth, the father of the girl, this shot is actually taken from a fire department's training drill, few blocks from their home. 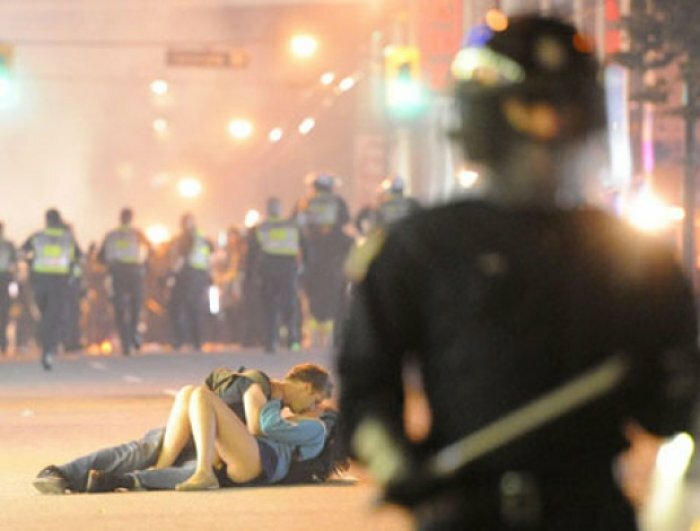 This is one of the most famous pictures that most people have no clue bout. 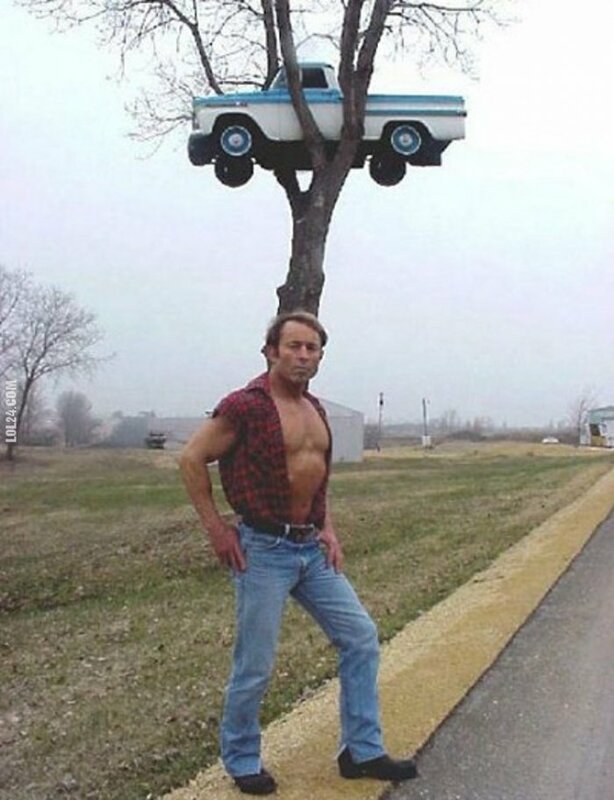 The 1959 Chevy was actually put up to the tree by Mark Madson. It was meant to be a treehouse for his son Luke. This cat with seemingly bad day right here named Tardar Sauce a.k.a Grumpy Cat is probably the most popular cat in the internet. The reason for that sad face is caused by feline dwarfism mixed with some under bite. Originally posted to reddit by Bryan the brother of the owner Tabatha Bundesen, this photo has spread everywhere in the internet. This incredible photo taken form a photographer Marco Queral making contact with a humpback whale in the South Pacific is nothing short of spectacular. 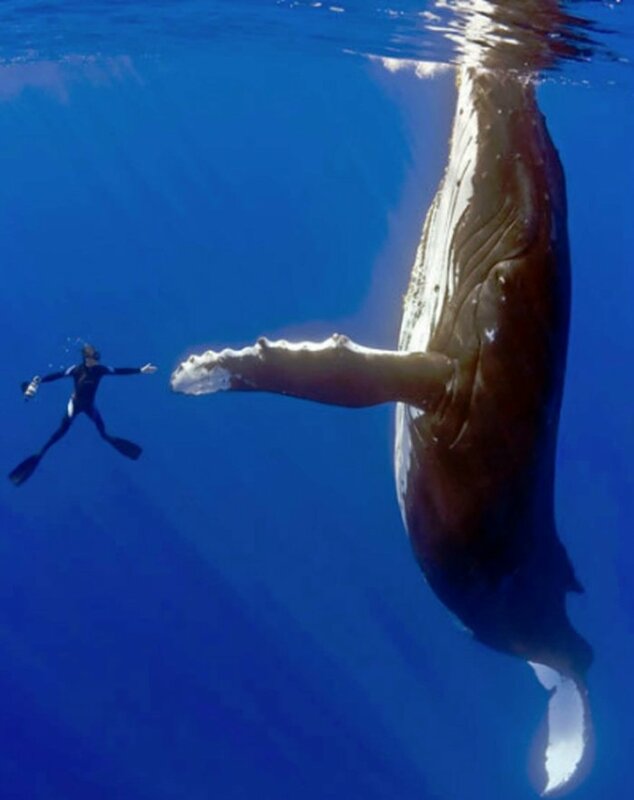 Considering the sheer size of these whales, it goes without saying that while these mammals do not tend to attack humans, it is still extremely dangerous to get so up close and personal with them.